Hungry use Plecto to get a real-time business performance overview across their different locations. By doing so, they have been able to reduce reporting time by visualizing business performance. Hungry Group used different Podio workspaces to keep data separate. However, they lacked an overview of how the entire business was performing. Plecto was the perfect solution to combine and live stream data from different Podio workspaces from multiple office locations on a single dashboard. Hungry Group can now easily display and report on regional business performance for each employee. With Plecto, the company is always updated. Following up on business performance is crucial so you know how your salespeople are performing, especially if your business is located in several regions, like Denmark, Ireland and the Netherlands. Hungry Group used Podio workspaces to rank team members by how many customers they met. Although logging sales with Podio worked well, something was still missing. The founders of Hungry Group couldn't see and report how their entire business was performing because different Podio workspaces kept data separate. Plecto dashboards are designed to display business performance metrics in real-time and update data every time new sales activity is logged in the systems. Ever since Hungry Group integrated Plecto to their Podio workspaces, sales representatives and management can easily follow up on company performance. 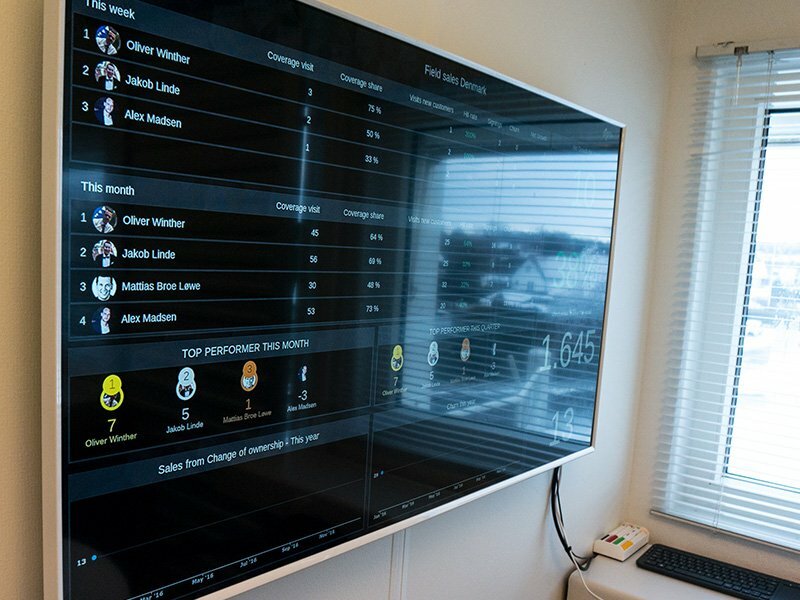 TV screens displayed all around their offices in different countries give insight into individual and team performance. By using Plecto, Hungry Group motivates their employees to achieve better results. Data visualization with Plecto gamification features provides the company with the ability to launch friendly competitions between teams or individuals. With Plecto, Hungry Group data from every Podio workspace and each country can now easily be tracked and reported in one dashboard solution. Management can now display individual, team and higher-level company KPIs. Our dashboards minimize time spent on reporting by providing you with a unique business overview. Moreover, to avoid the risk of forgetting to log a sales activity, Hungry Group's representatives can display their Plecto dashboards on mobile devices, as well as on an Apple watch. As a result, it is not only easy to follow up on your performance, but data can also be added to a dashboard in few clicks on the way to the next meeting. Start your 14-day free trial of Plecto and learn how you can minimize business reporting time with visualizations. No credit card needed.